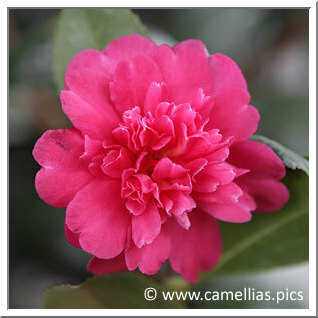 The first evidences of use and cultivation of camellia in China are about 5 000 years old. 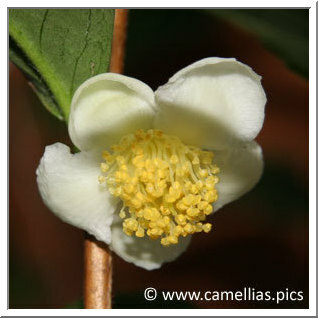 It was mainly tea, which is a species of camellia (thea sinensis or camellia sinensis). There is a long tradition of camellia growing in China and Japan, mainly in order to produce tea (C. sinensis) or oil (C. oleifera). In China, tea is an ancient beverage, drank long before our era. In Japan, tea is primarily an art of living, known initially through decorative objects. But, as in China, it is also an economic reality. Tea and oil were also produced. 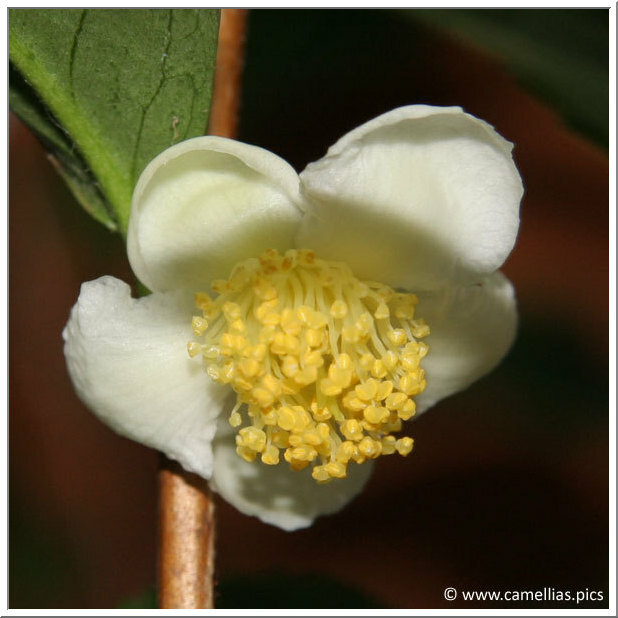 The genus "Camellia" owes its name to the posthumously tribute, by Karl Linnaeus, Swedish botanist and taxonomist, to George Joseph Kamel (1661-1706), apothecary and botanist in Jesuit institutions, who have worked particularly in the Philippines . It is said, but it remains a mystery, that the first camellia introduced in Europe would have been in Portugal during the 16th century. 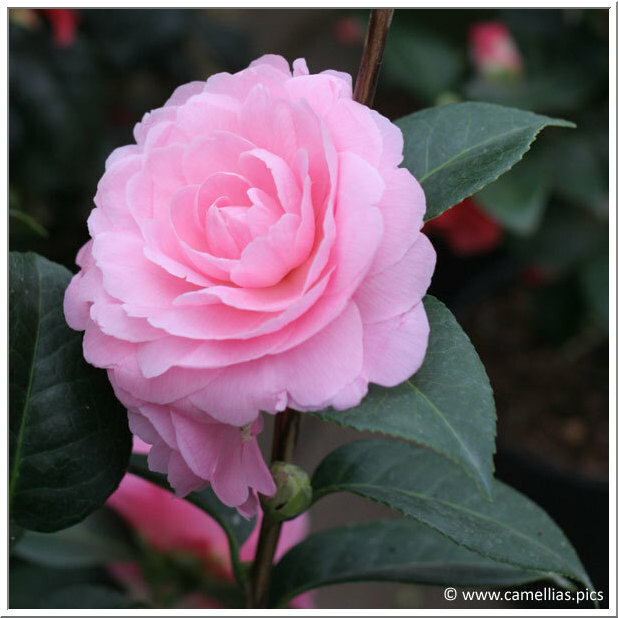 The history of camellia in Europe really began in England. Even if the climate was not, a priori, favorable. It was cultivated in greenhouses, at least in the beginning. The English prospected and brought back varied plants from their travels. Thus the first camellias arrived in England in the early 18th century. James Petiver, apothecary, described in 1702, a plant with a red flower named 'Thea Chinensis'. In fact, the English were trying to find the tea plant. If Cunningham, surgeon and botanist, brought back C.sinensis and C.fraterna , the propagation of these plants to make 'tea' did not give the desired result. It is also said that the British were abused and had been given ornamental shrubs despite of tea species. Undoubtedly, it was C.japonica, the botanical species (picture on the right). 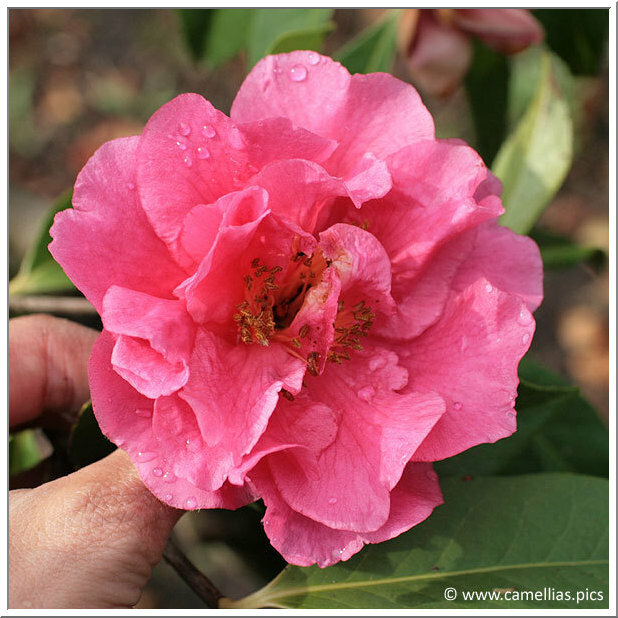 In 1739, the first camellia japonica were cultivated. But, it was a plant reserved to an elite, because of its rarety and cost. The plant quickly spread through the royal and princely courts of Europe. George III planted one in Pillnitz, Germany, near Dresden. 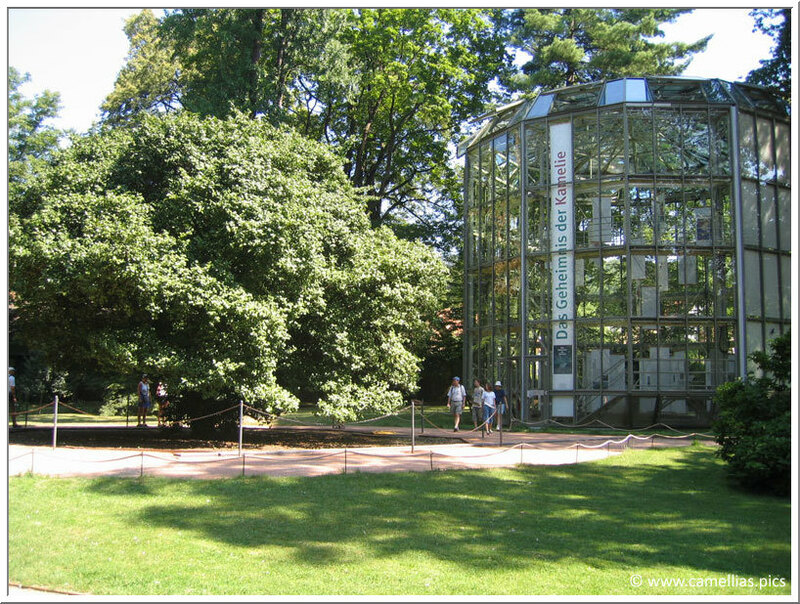 It still lives there, protected in winter by a huge greenhouse, given its impressive size (see left picture). It was also cultivated in Italy (Caserte), Netherlands and France. In these days C. japonica was the only camellia known in Europe. In the early 19th century, Henri Favre (Mayor of Nantes) discovered that the camellias could live very well out of greenhouses. The Brittany (west of France) climate is especially favorable. Many nurseries were created in Brittany and Anjou and new varieties were breed. 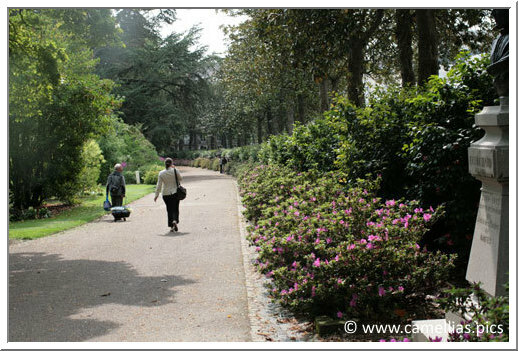 Old varieties and more recent ones can be found in the 'Jardin des Plantes de Nantes'. It remains one of the reference gardens for camellia lovers through the diversity of cultivars that can be admired (photo below). From the early 19th century, Europeans, in England, Belgium and Italy, raised many cultivars while continuing to import Asian cultivars, always from the japonica species. 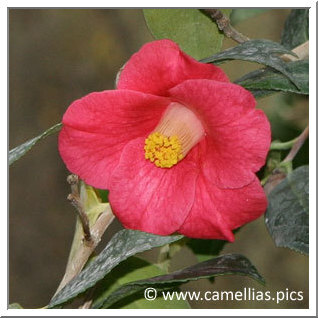 The camellia history in Belgium is very rich. Belgium had famous breeders (von Siebold, Verschaffelt, de Bisschop ...) and many popular cultivars. 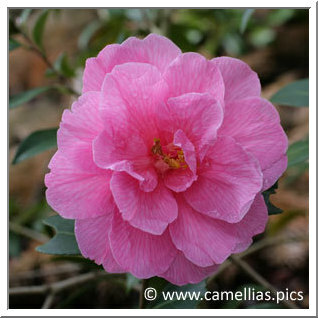 The camellia industry was highly developed. In 1820, the captain Richard Rawes imported in England the first reticulata, it was named 'Captain Rawes'. It remained the only known reticulata cultivated in Europe for over a century. 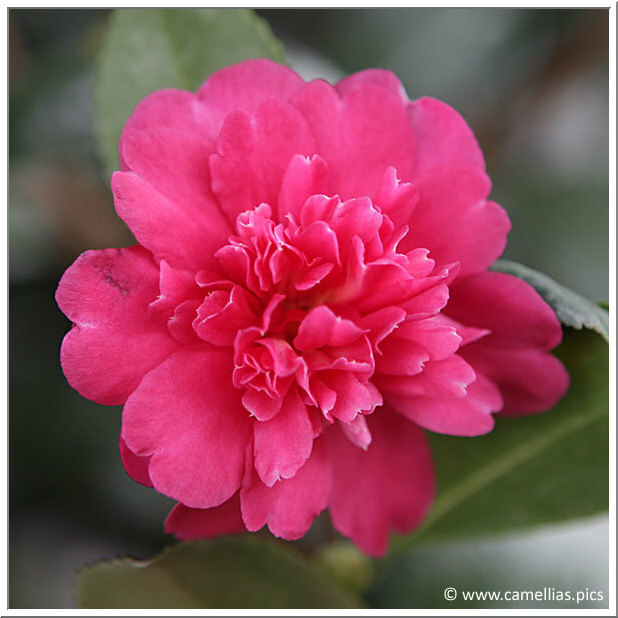 The first books about camellias were written in the mid 19th century. Father Berlese, italian collector and erudite, published his 'Monographie du genre Camellia' (1837), and especially his 'Iconographie du genre Camellia' (1841). Ambroise Verschaffelt, son of a large Belgian breeder, wrote at the same time a series of books (thirteen in total): 'Liconographie des camellias' (from 1848 to 1860). In the Anglo-Saxon countries, diffusion had a meteoric rise. Camellias arrived in United States during the 18th century. Cultivars of C. Japonica were imported from England with success. They were cultivated primarily in greenhouses in New York. 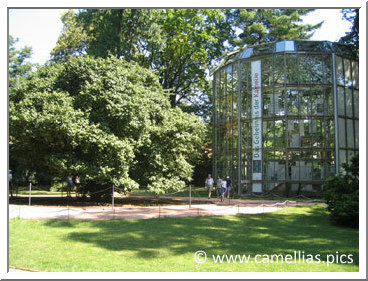 Then, camellias arrived in Philadelphia (conservatory at Longwood Garten, now dedicated to cold hardly camellias). Then it went to Charleston, where collections are impressive. It arrived in California in Sacramento, where it prospered, paradoxically, despite of the very hot climate. The camellias made their first appearance in Australia in 1826. The enthusiasm was high, cultivars were imported from United Kingdom and the producers made their own seedlings. In the north island of New Zealand the climate is ideal for cultivating camellias. The first cultivars came from England but also France. 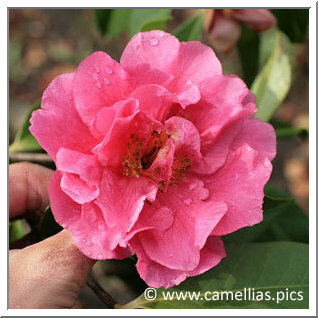 The first camellia was planted in 1840. In the second half of the 19th century, the plant knew a renewal of interest. Alexandre Dumas' son, with his novel 'La Dame aux Camélias' (published in 1848) contibuted to its success. But he also left the false spelling of 'Camélia' often found today. For much of the 19th century, the camellia was not a popular plant as it was reserved for the aristocracy. Interest for camellias decreased between 1880 and 1920. 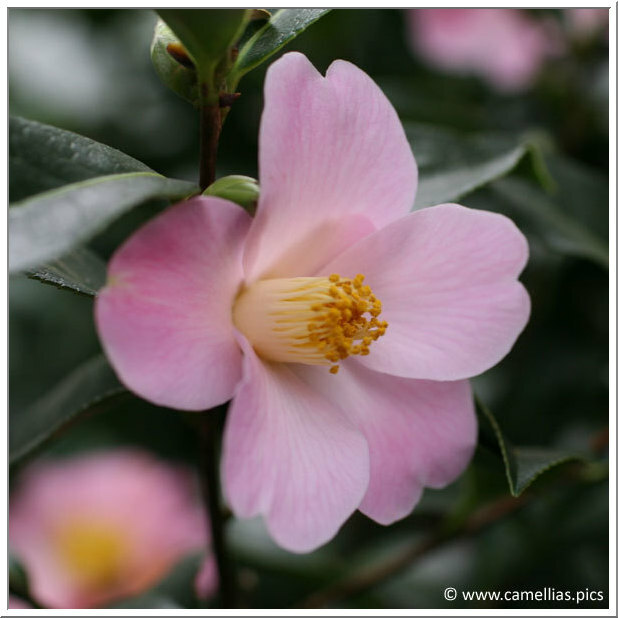 In the early 20th century, in the 30's, J.C. Williams, in Cornwall (england), raised the first European camellia hybrid, an hybridation between the saluenensis species, recently imported from China, and a japonica cultivar. Many hybrids of saluenensis were raised by J.C. Williams and other breeders, which were given in gratitude, the nickname 'williamsii'. One of the most famous today is 'Donation', nicknamed 'the flower power' (photo below). In all gardens of the world, their descendants can be found. 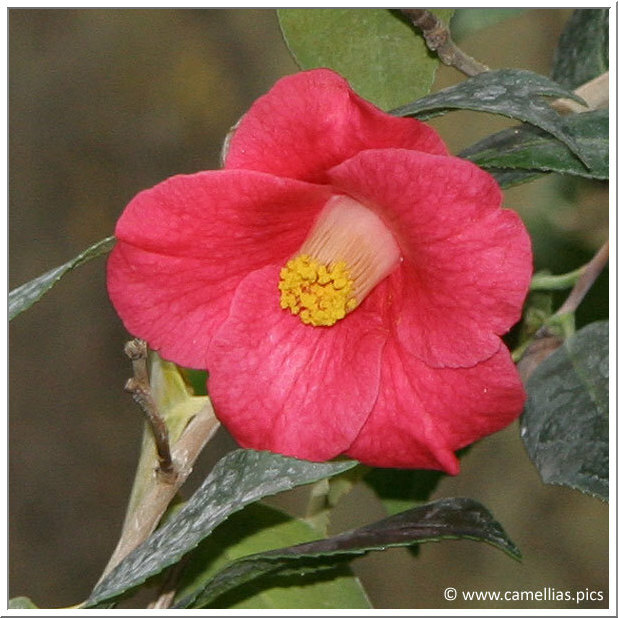 New colors are searched, as well as camellias adapted to cold climates. Finally, the camellia becomes democratic. Despite this renewal coming from England, new European varieties were in relatively small number in the 20th century. In Belgium, the last breeder, Roger de Bisschop, died in 2006. Americans (especially Californians), Australians and New Zealanders became the main breeders of new varieties. In California today, the activity of camellia, and especially very famous exhibits, is located in the south. The breeders are numerous and the most known in France is Nuccio. In Australia, Professor EG Waterhouse produced many hybrids. He was the founder and first president of the International Camellia Society. He opened his garden of Eryldène to the public. Today the Paradise Nursery is famous with its series of sasanqua (below: 'Paradise Caroline'). In New Zealand, many new varieties were raised in the 20th century, and the camellias are still very popular. In France, we know the Jury nursery and their numerous varieties, for example: 'Elegant Beauty'. In France, production is now concentrated in Brittany (west), mainly in Finistère and in the region of Nantes. 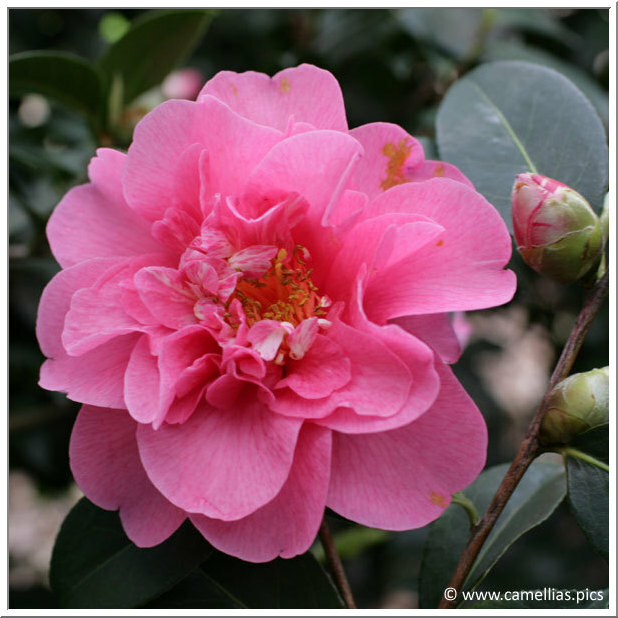 There are also producers of camellias in Anjou (center-west), in the Landes (south west) and the Cévennes (south). All varieties of camellias that have been identified by the International Camellia Society have been compiled in a 2 volumes book in 1991, the International Camellia Register, completed by a supplement in 1997. It contains the names and descriptions, more or less detailled, of more than 35 000 varieties of camellias.